In the new ‘Bebo’ version of WordPress, which is named after Cuban jazz musician Bebo Valdés, we see the introduction of the Gutenberg editor, which puts each piece of content into its own distinct block, allowing creators to decide where to place it and how it appears to viewers. This essentially makes the process a flexible WYSIWYG system. WordPress says that if you prefer to use HTML and CSS, the blocks won’t be an issue. Blocks include paragraphs, images, galleries, quotes, audio, lists, embeds, and much more. 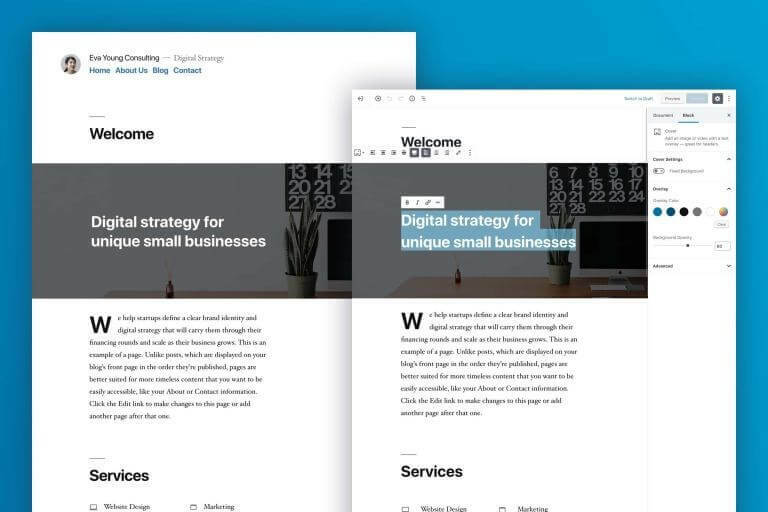 For those building client sites, it’s possible to create reusable blocks that lets clients add new content anytime while maintaining the same look and feel. Not all users are going to embrace the new editor, of course, and there’s a chance it could affect plugins used in the old version. For those who want to stick with the Classic Editor, WordPress lets you install a Classic Editor plugin in 5.0 that will be supported through December 2021. “Featuring ample whitespace, and modern sans-serif headlines paired with classic serif body text, Twenty Nineteen is built to be beautiful on the go. It uses system fonts to increase loading speed. No more long waits on slow networks!,” writes WordPress. You can download WordPress 5.0, which is open source and free, from WordPress.org right now. Wordpress 5.0 the New Coke for the 21st century. That would suggest they removed an addictive ingredient. BTW: raw html has several forms of "blocks"
I liked it back when tables were all that was needed. *Sigh* Those were ancient times though. Why would anyone who is not an actual developer go into learning about html, css and js when they can create an account and simply start using it. For Mom & Pop who can get what they want in one home page, yeah you're right. As soon as you want multiple pages, Chat, a shopping cart, email support -- the expansion will kill you. That's exactly the Mom & Pop mentality, you don't need to waste time in learning all about it when you can pay someone who can do it for you, if at a later stage you grow to the point of leaving mom & pop behind, you can always get a support service down the way.